I was surprised to hear of Stephen Covey’s passing on July 16. He was 79 and died peacefully in Idaho, USA, from residual effects of a bicycle accident. 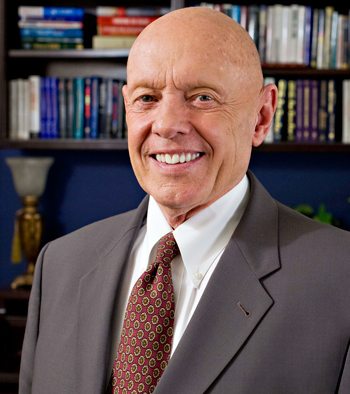 Dr Stephen R. Covey won many awards and sold millions of his books in multiple languages. He was recognized as one of Time magazine’s 25 most influential Americans. Stephens promoted an important tool for communication, a talking stick. Aboriginal nations have used talking sticks for centuries, which is where he learned about it. You can watch this 3 minute video in which Stephen describes a way to use it. Yes, this is so true! I use a talking piece in much of my own work with tremendous results. It changes the conversation in powerful and profound ways, including creating equality where all voices are heard and valued. Debate shifts to true dialogue. A talking piece also sheds light on what Stephen describes can occur: “Two people can see the same thing, disagree, and yet both be right. It’s not logical; it’s psychological”. Multiple truths can exist in a circle and a talking piece helps us move forward in a way that meets everyone’s needs. I use talking pieces successfully for different purposes, such as problem solving, healing, strategic planning, and in all kinds of settings including business, government, prison, and non-profit. It’s easy to use. I’ve used different talking pieces, pending the situation, and am grateful to have been gifted a sacred eagle feather. But it can really be anything. Like the children in a playground who picked up a discarded juice box to use to resolve a dispute. As my friend and mentor, retired judge Barry Stuart often says, a talking piece is the most powerful mediator in the world.